I recently decided to change the format a little for my "confessions". In addition, I am currently working on RSVP Recipes, a blog where you can view all recipes rather than searching for them here. Hope you enjoy! Ah, the wonderful world of Trader Joe’s. I thought I would never see this place again after moving from the north. I do not remember when my relationship with Trader Joe’s began. I only remember discovering it by walking around Union Square one fall afternoon. 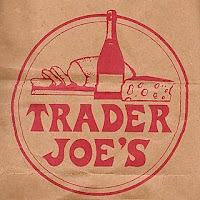 For those of you who are not aware of this establishment, Trader Joe’s is a grocery store chain founded in the 1950’s, better known as Pronto Markets on the west coast which did not start spreading across the country until recent years. Trader Joe’s is most well known for perfecting high-quality at low cost products and produce. The only memory of my first trip to Trader Joe’s is when I re-discovered spinach pizza, an item I have been experiencing difficulty finding in the States since returning from my travels in Europe several years ago. The rest is history. However, spinach pizza is not the only product I cannot live without now: mixed berry granola, sourdough bread rolls, wine, chocolate covered raspberry bars, boxed pasta, yogurt, lemonade, pineapple salsa, the list could continue forever if I allowed it. Trader Joe’s does not have a butcher or deli department, but their packaged meats are freshly prepared and packaged to where one doe’s not have to question, “is this safe to eat?”. In any case, I now have a list of staples that only come from Trader Joe's. The only problem I had with Trader Joe’s in New York was only one location existed for the entire five boroughs which I find to be slightly frustrating to say the least. One has to be smart upon planning a visit to such a place by either going early in the morning or late at night to avoid lines that go out the door on occasion. When I decided to travel south for my extended stay, I only knew of one Trader Joe’s location in Atlanta which was yet again difficult to visit. However, to my surprise I discovered a new location that is walking distance from my work on Peachtree Road. Everything is the same. The atmosphere, products, and service are not any different if I was up north or even out west. The only difference is that there is a parking lot in front of the store rather than pedestrians, and the service is a little more talkative to its customers. If you have not done so already, I highly encourage visiting a Trader Joe’s near you if you are in search of more variety in your average grocery shopping routine. You can even visit them on the web at www.traderjoes.com . It is bound to make an standard task an enjoyable experience. Where is the Greek yogurt? Greek yogurt was always an item for me that as I pass by at any market or deli I would always think to myself, ‘hmmm, I will try it next time’. It took me to visit a friend in upstate New York for me to finally be introduced to this filling dairy product, and I now cannot live without it. Greek yogurt is considered rare in the south so when I discovered it, I noticed its prices sky rocket through the roof when comparing to what I am used to up north. Trader Joe’s turned out to be the winner in costs, but I am so used to seeing it be $1.50 or maybe $1.60. What’s so great about eating Greek yogurt? Greek yogurt is entirely more filling than American yogurt through its texture as thick as cream. You can go without feeling hungry for a longer period of time if you have an active schedule. It is also considered a healthier option if you do consume yogurt on a regular basis, for it possesses more protein and calcium than American yogurt. Greek yogurt has a slight taste of sour cream so adding a sweet ingredient such as fruit, honey, or granola can bring any breakfast into harmony. Greek yogurt is not just for breakfast, either. One can use it to make thick sauces, tzatziki for example for meats and vegetables. My favorite brand so far? Personally, I love Chobani, but due to lack of resources in the south I stick to Fage. If you are counting your pennies, I recommend sticking with Trader Joe’s brand of Greek yogurt at $1.19 each even though it is not as thick but the flavor is there. If you are really fiscally conscious, you can even make your own. If you are eager to try something new for breakfast or sauces dare to go Greek on your yogurt. You might surprise yourself. 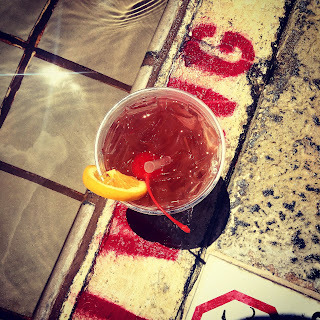 Picture from Oasis Sales and Marketing: www.oasissalesandmarketing.com . Since traveling down south and soaking in the sun and heat, ice cream is the only thing I have been craving recently. 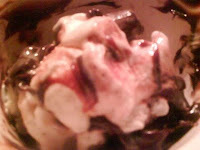 I started my crazy obsession of Moose Tracks during my college days. Ice cream can be a savior at times when one is swamped with stress and over-exercising their mind. What’s more fun is if you get to make it yourself. I even encourage making your own vanilla ice cream if you have an ice cream maker and switch the fudge for peanut butter sauce if you want. Check out this super easy ice cream combination below, and you can always view it on rsvprecipes.blogspot.com for future reference. - Place ice cream, mini peanut butter cups in small serving bowl and mix together. - Pour fudge sauce over mixture and blend. - Top with whipped cream if desired.